Excellent choice! I love Ahmedabad too! Bhadaura (Madhya Pradesh) to Ahmedabad (Gujarat) distance is 664 km and you can get there by train + train in just over 10 hours and 27 minutes with fares starting from ₹ 817. The heat there will make you sweat, but it's surely bearable. What are the cheapest flights from Bhadaura to Ahmedabad? What are the cheapest buses from Bhadaura to Ahmedabad? What are all the options for Bhadaura to Ahmedabad bus? Check out how to go from Bhadaura to Ahmedabad by flight, train, or road. Whether you are contemplating the idea of taking a flight, train, taxi, bus, own car, ride share or an elaborate road trip, ixigo brings you the available modes of travel at their best deals. Find out about all the modes of transport from Bhadaura to Ahmedabad. With all the options available to you right here, you can easily pick the suitable mode of travel for yourself. 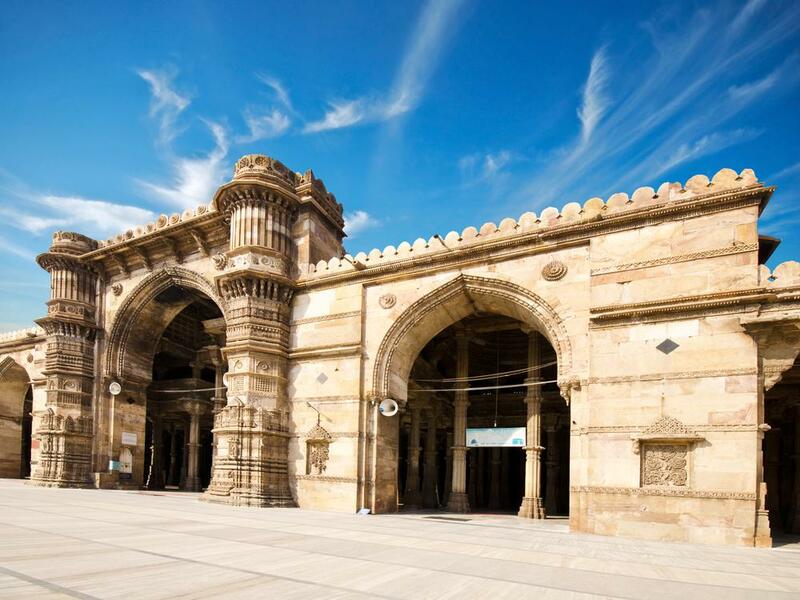 If you like road trips better and wish to travel from Bhadaura to Ahmedabad taxi, you can check out the details by clicking on that option. So, explore all the different ways in which you can travel from one place to another and check out the fare charges, timings, schedule, availability of seats and much more on ixigo quickly. We help you plan your trip from Bhadaura to Ahmedabad in a much better way. Fret no more, as you can easily check the options for any destination you wish to travel to. Just see the choices here and click on the one that appears the most suitable travel option to you. Leverage on all the possibilities made available to you by ixigo and find the right balance of budget and time for your journey with many choices in bus, taxi, cabs, trains and flights from Bhadaura to Ahmedabad. Planning a trip to your favorite destination was never so easier! Go solo or take your family and friends on the cruise. Book now!